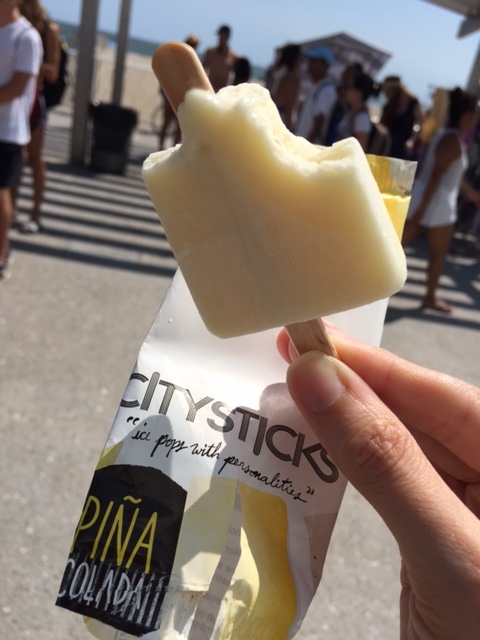 CITYSTICKS & POPSICLE are two different trademarks for tasty frozen treats. These two trademarks are owed by two different companies and are both registered with the USPTO. USPTO trademark registration grants the owner of each trademark exclusive rights to use the registered trademark when selling, advertising and promoting their frozen treats. This means that the words CITYSTICKS & POPSICLE are off limits to any other person or company selling frozen treats. For example, if another person or company uses either of the trademarks to sell or advertise competitive goods without permission of the trademark owner they may be infringing the trademark and might be asked by the owner to stop using the trademark (i.e. to cease and desist from infringing the trademark). 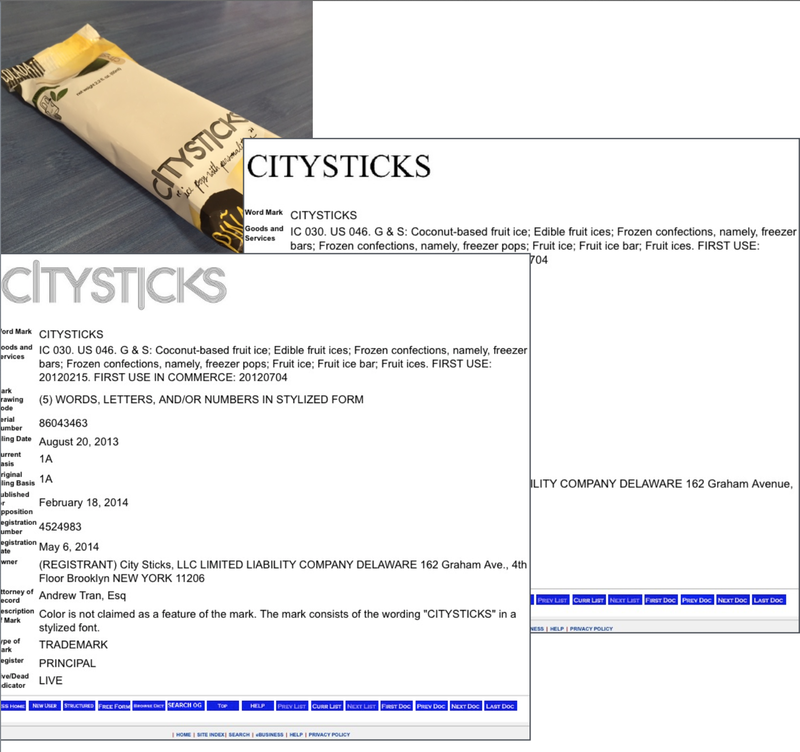 POPSICLE is the older of these two trademarks and it’s no coincidence that the CITYSTICKS packaging pictured to the left and below does not use the trademarked term POPSICLE. Instead the packaging reads, “ice pops with personalities.” (As you can see, I quickly ate half the CITYSTICKS ice pop before I thought to photograph it for this post. It was tasty). A major benefit of registering a Trademark is the exclusive right to use the Trademark, which comes with registration. Ownership of a registered Trademark bestows an exclusive right to use the Trademark with or on ALL similar goods and services. This exclusive right restricts other people, companies and businesses from using your Trademarked term or logo on similar goods and services. This exclusive right can be a powerful tool in the marketplace. For example, POPSICLE is a registered Trademark of Unilever and only Unilever has the authority to use the word POPSICLE when selling, advertising and promoting frozen treats on a stick. This means that the word POPSICLE is off limits to any other person or company selling frozen treats on a stick. POPSICLE cannot be used on other companies’ product names, blogs, napkins, merchandising, or advertising. As you can see, this carries a lot of weight in the market place against competitors. The unauthorized use of the mark POPSICLE recently put a small shop in Brooklyn in a bind when they started making and selling a product called ‘People’s Popsicles.’ Since the shop did not have permission from Unilever to use the POPSICLE trademark, the shop had to rename their product, print new merchandising, and erase every use of POPSICLE from their menu and blog. Exclusive use rights that come with owning a registered Trademark are powerful. Don’t underestimate their value in the market place.